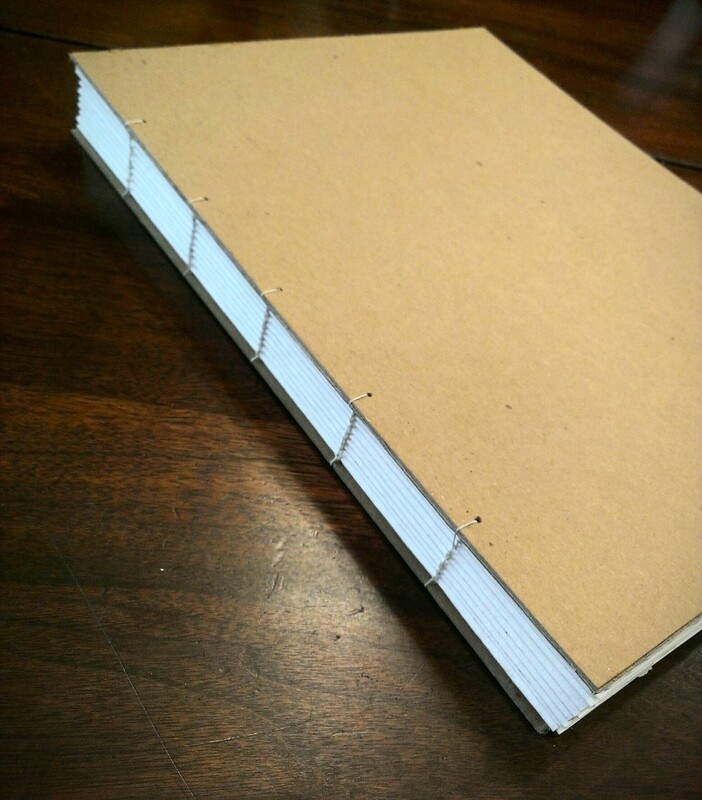 First I was excited about this, my first homeade art journal. 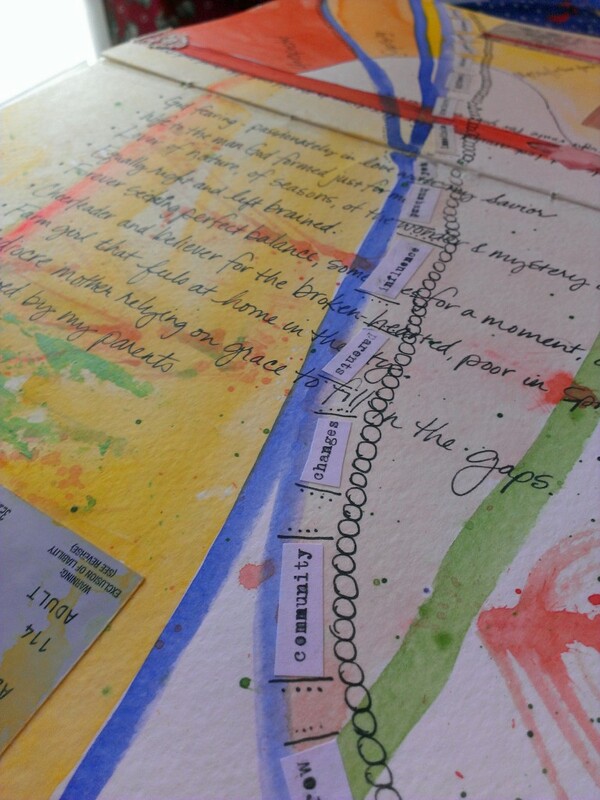 Then I was excited about this, my art journaling tribe. 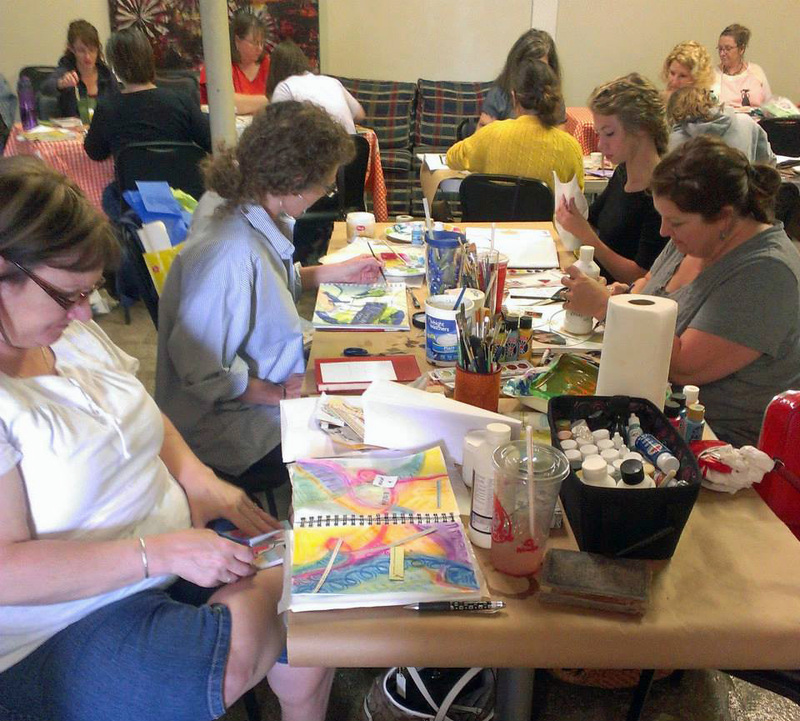 We had our kick off Art Journal Monthly class on June 2 and I must say it was inspiring. I love to see how personalities, hopes and hidden treasure come to the surface on everyone’s pages. We are working through the book, Journal Fodder 365 by Eric Scott & David Modler. A bonus with this book are the writing prompts for each chapter (which are purely optional). And you are invited to come join the fun. The gathering time is free, facilitated by me. (Yes, I’m a poet.) To find out more, click here.